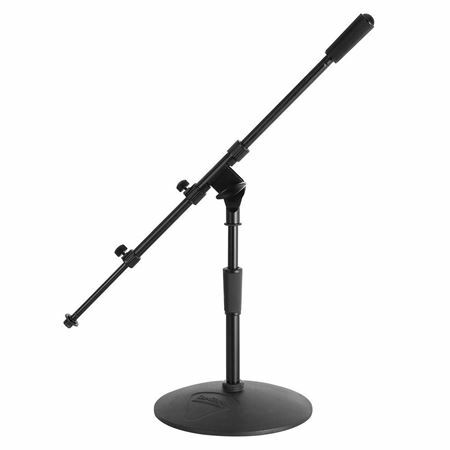 Shop On Stage Stands MS9409 Pro Kick Drum Microphone Stand from AMS and enjoy Fast & Free Shipping. 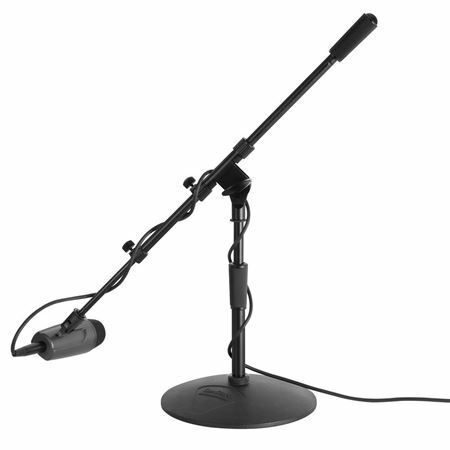 The MS9409 has an all-metal tele-boom that features a removable counterweight for dual mic functionality.Comprised entirely of powder-coated aluminum alloy, these state-of-the-art stands provide both durability and flexibility. The sleek, embossed base features six vibration-tamping, floor-protecting pads, while the shaft incorporates an internal clutch washer for smooth, secure height adjustments from 9 - 13". Height Adjustment: 9 - 13"
Total Stand Weight: 8.65 lbs. Boom Length Adjust: 21.5 - 36"
Balance and endurance is what this incredible stand is all about! So easy to set up, every drummer deserves such stability to play at his best. On Stage delivered an over-the-top gear! Thanks, AMS, for providing us drummers with the best at such an affordable price!